NDepend version 6.2 has just been released. We have addressed over 20 bug fixes, including a blocker one for Visual Studio 2015 update 1 Git Controls. More specifically the new Visual Studio 2015 Update 1 Git controls in the Visual Studio status bar were interacting with the NDepend Visual Studio extension status bar control. As a consequence this was provoking VS UI freezing. That is fortunate that the Visual Studio team warned partners (VSIP) a few weeks ago that they were adding controls to the status bar. 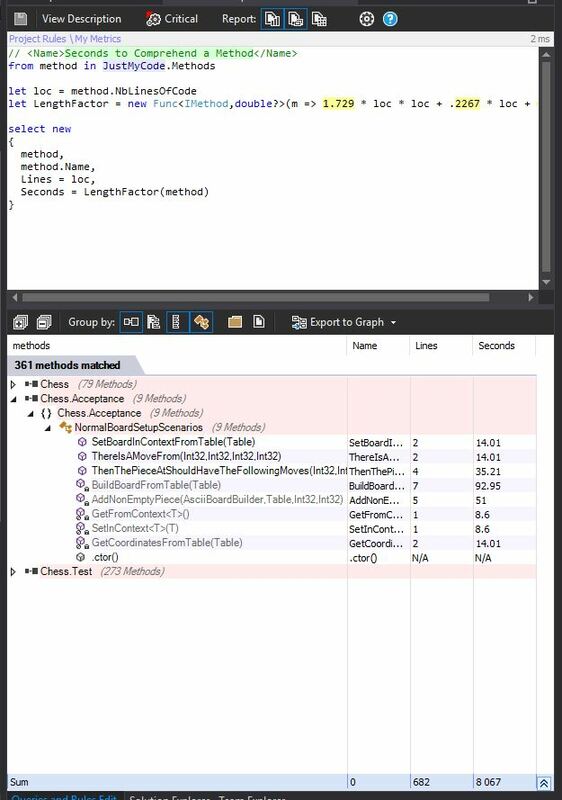 The issue was coming from a synchronous usage of the WPF dispatcher to implement the NDepend progress & status circle. Invoking the dispatcher asynchronously fixed the issue. We also stumbled on an unusual issue due to an unfixed Windows bug. When working with DataGridView with many rows (like 1000+) we can face an unmanaged StackOverflowException that crashes the process. The Windows bug is explained here http://stackoverflow.com/a/14716720/27194 and as far as we know it is not fixed. The problem occurs only when the Windows process TabTip.exe runs (“Touch Keyboard and Handwriting Panel Service“) and the stackoverflow link explains that the only way to prevent it is to disable this touch keyboard service. We’re going the hard way and actually when NDepend starts, it now tries to kill this process. Most of the time it’ll work, even if the Windows user is not administrator. If you get any inconvenience with this rough fix, please let us know. Apart these two fixes, many other bugs were fixed and some improvements were added (see the complete list here). 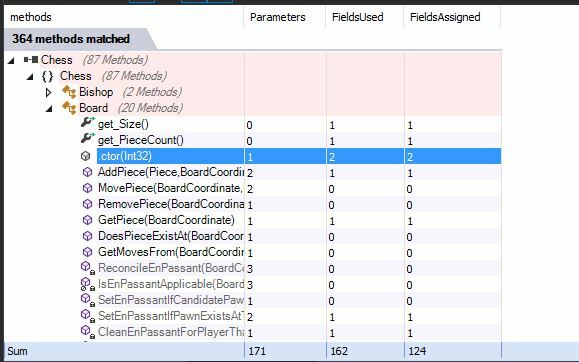 Bugs fixed also includes some incorrect results that were happening because the way Roslyn emits IL has significantly changed in some situations, and NDepend relies a lot on IL code analysis. Managing a team of software developers is a tall order. This is doubly true when the line management includes both org chart duties (career development, HR administrivia, etc) and responsibility for the team’s performance when it comes to shipping. In this case, you’re being asked to understand their day to day performance well enough to evaluate their performance and drive improvement, in spite of the fact that what they do is utterly opaque to you. It’s like being asked to simultaneously coach a team and referee the game for a sport whose rules you don’t know. As I said, a tall order. I’ll grant that, if you’re a dev manager, you may have been technical at some point, perhaps even recently. Or maybe not, but you’ve been around it long enough to pick up a lot of concepts, at least in the abstract. But in neither case, if you were asked what, exactly, Alice coded up yesterday, would you be able to answer. Whether it’s due to total lack of experience, being “rusty” from not having programmed in a number of years, or simply being unable to keep up with what 8 other people are doing, their work is opaque to you. As with coaching/refereeing the game that you don’t understand, you can pick up on their body language and gestures. If all members of the team appear disgusted with one of their mates, that one probably did something bad. You’re not totally without context clues and levers to pull, but it wouldn’t be hard at all for them to put one over on you, if they were so inclined. You’re navigating a pretty tough obstacle course. One of the more puzzling misconceptions that I hear pertains to the topic of refactoring. I consult on a lot of legacy rescue efforts, and refactoring, and people in and around those efforts tend to think of “refactor” as “massive cleanup effort.” I suspect this is one of those conflations that happens subconsciously. If you actually asked some of these folks whether “refactor” and “massive cleanup effort” were synonyms, they would say no, but they never conceive of the terms in any other way during their day to day activities. Let’s be clear. Here is the actual definition of refactoring, per wikipedia. Code refactoring is the process of restructuring existing computer code – changing the factoring – without changing its external behavior. Significantly, this definition mentions nothing about the scope of the effort. Refactoring is changing the code without changing the application’s behavior. This means the following would be examples of refactoring, provided they changed nothing about the way the system interacted with external forces. Renaming variables in a single method. Adding whitespace to a class for readability. Deleting code that has been commented out. Breaking a large method apart into a few smaller ones. I deliberately picked the examples above because they should be semi-understandable, even by non technical folks, and because they’re all scalable down to the tiny. Some of these activities could be done by a developer in under a minute. These are simple, low-effort refactorings. Let’s now consider another definition of refactoring that can be found at Martin Fowler’s website. Developing applications for use in the health care industry is stressful because the margin of error is almost non-existent. Whether your tool is for treatment, research, or analysis, it needs to be dependable and accurate. 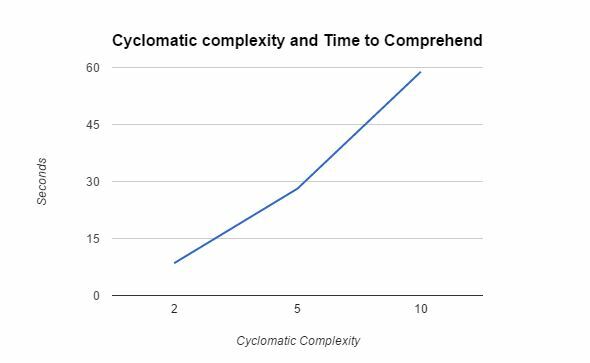 The more complex the application is, the higher the chance for errors and delays in development. Dependable companies abide by rigorous methodologies to develop their code before deploying it to clients. In this NDepend case study, we learn why a company in this sector chose NDepend, and why it became an integral part of their development process. Stago works in the medical lab industry, producing lab analysis tools that focus on haemostasis and coagulation. Working hard for over 60 years and valuing long term investments, they have created a name for themselves in the industry. A few years ago, they wanted to make their software development process more efficient. In addition, they wanted to easily enforce their own best practices and code quality standards across their teams. The goal was to be able to catch issues earlier in the development cycle to cut costs and time spent on quality assurance post-development. To read more about how NDepend helped Stago streamline their development process, click here to download a PDF of the complete case study. 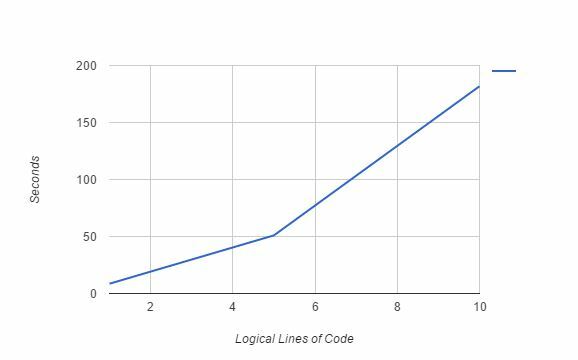 Last week, a post I wrote, “The Myth of the Software Rewrite“, became pretty popular. This generated a lot of comments and discussion, so I decided just to write a follow-up post to address the discussion, as opposed to typing a blog post’s worth of thoughts, distributed over 20 or 30 comments. This is that post. First of all, I want to be clear about what I’m talking about. I’m specifically talking about a situation where the prime, determining factor in whether or not to rewrite the software is that the development group has made a mess and is clamoring to rewrite it. In essence, they’re declaring bankruptcy — “we’re in over our heads and need outside assistance to wipe the slate clean so we can have a fresh start.” They’re telling the business and their stakeholders that the only path to joy is letting them start over. I earn my living, or part of it, anyway, doing something very awkward. I get called in to assess and analyze codebases for health and maintainability. As you can no doubt imagine, this tends not to make me particularly popular with the folks who have constructed and who maintain this code. “Who is this guy, and what does he know, anyway?” is a question that they ask, particularly when confronted with the parts of the assessment that paint the code in a less than flattering light. And, frankly, they’re right to ask it. But in reality, it’s not so much about who I am and what I know as it is about properties of code bases. Are code elements, like types and methods, larger and more complex than those of the average code base? Is there a high degree of coupling and a low degree of cohesion? Are the portions of the code with the highest fan-in exercised by automated tests or are they extremely risky to change? Are there volatile parts of the code base that are touched with every commit? And, for all of these considerations and more, are they trending better or worse? It’s this last question that is, perhaps, most important. And it helps me answer the question, “who are you and what do you know?” I’m a guy who has run these types of analyses on a lot of codebases and I can see how yours stacks up and where it’s going. And where it’s going isn’t awesome — it’s rotting.